We know that your dental health has a huge impact on your overall well-being. In fact, it’s proven that people with a healthy mouth are more likely to have a healthy body and live a longer, happier life. Taking the steps to maintain your happy smile should always be a pleasant experience. Appvion has partnered with CarePlus to bring you exceptional, convenient care through Dental Associates, the exclusive provider for CarePlus Dental Plans, Inc. Whether you need preventive care, restorations, orthodontics, or a combination of services, the caring professionals within our network will treat all of your family’s dental health needs in any one of our convenient, comfortable Wisconsin locations. Now, that’s complete care you can smile about. Click the link below to open a PDF outlining our plan design. Your mouth is truly the gateway to the body. View the PDF below to learn more about how your oral health can have a positive impact on your overall health. 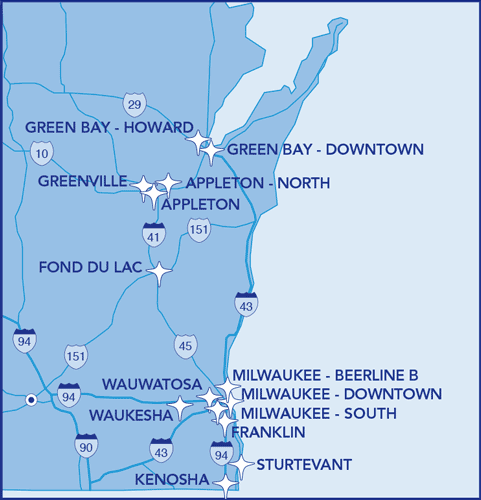 Below are the locations of the 14 Dental Associates dental centers in Wisconsin. If you’d like more information on any clinic, click the clinic’s name to visit the Dental Associates website, see photos of the clinic, and access Press Ganey patient ratings. Appleton 4660 W. College Ave.
Appleton - North 2115 E. Evergreen Dr.
Fond du Lac 545 E. Johnson St.
Franklin 6855 S. 27th St.
Green Bay 430 Main St.
Green Bay - Howard 2340 Dousman St.
Greenville N1737 Lily of the Valley Dr.
Kenosha 7117 Green Bay Rd. Milwaukee - Beerline B 220 E. Pleasant St.
Milwaukee - Downtown 205 E. Wisconsin Ave.
Wauwatosa 11711 W. Burleigh St. 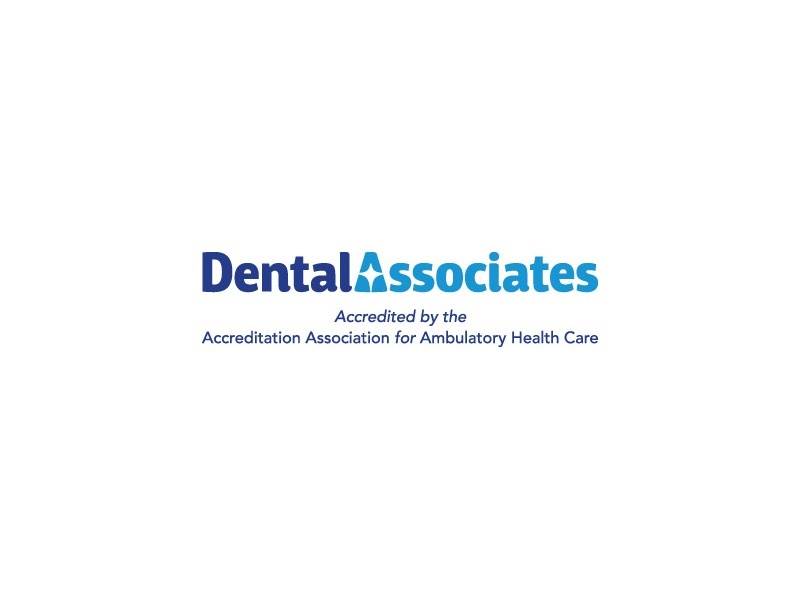 Dental Associates is accredited as a dental home by the Accreditation Association for Ambulatory Health Care (AAAHC). Accreditation signifies that Dental Associates meets nationally recognized standards for the delivery of quality health care set by AAAHC. In addition, Dental Associates has an A+ rating with the Better Business Bureau. 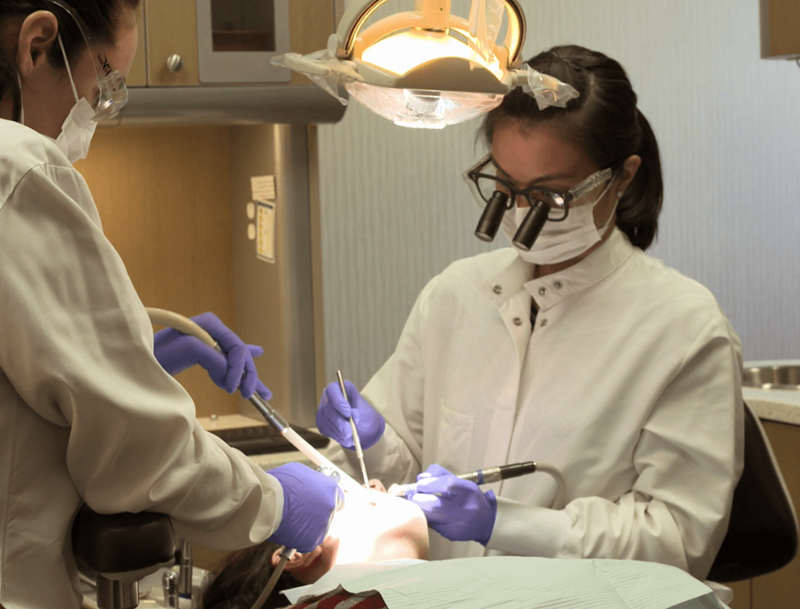 Dental Associates has earned a coveted dental home designation from AAAHC and is staffed with dentist and dental specialists including pediatric dentists, orthodontists, oral surgeons, endodontists and periodontists. If your care calls for treatment from a dental specialist, your Dental Associates dentist will work side-by-side with the specialist down the hall. You won’t be referred out to a specialist across town. This not only improves care, but it also saves you time by not needing to establish a relationship with another provider. 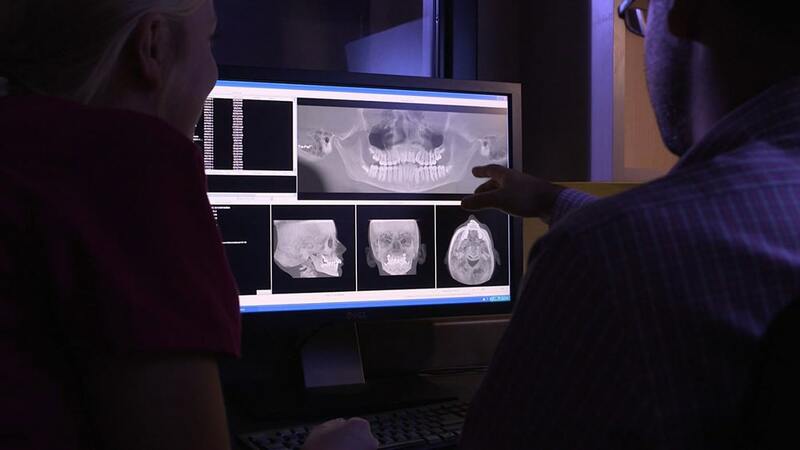 Dental Associates offers state-of-the-art facilities that utilize advanced technologies such as low radiation digital x-rays and 3D imaging. Dental Associates believes strongly in offering transparency to our patients. 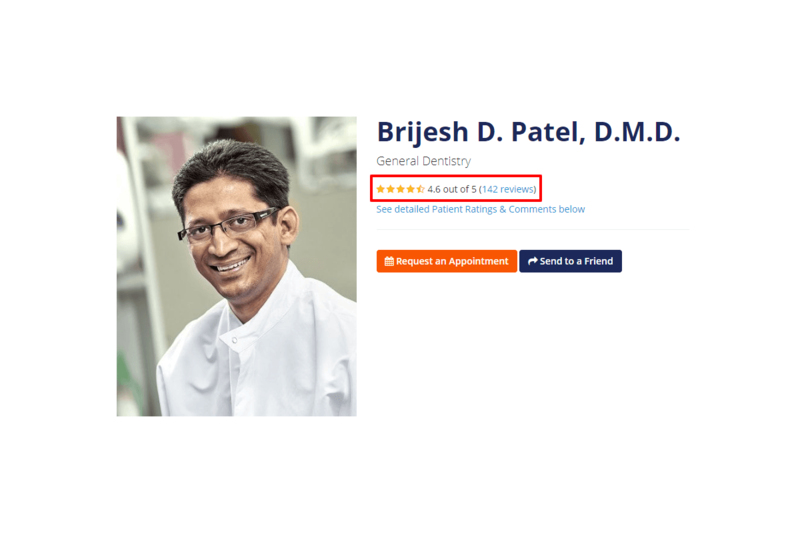 As such, we share the Press Ganey patient satisfaction scores for both our dental centers and each doctor so you can be confident about the quality of care we offer. In addition to patient ratings, we also share unedited patient comments about our doctors. To find a dentist or specialist and read their reviews, use the Find a Dentist feature at Dental Associates' website. Questions about CarePlus or Dental Associates? If you have questions about CarePlus or need assistance, please use our Contact Us feature or call us at 414-771-1711 or 800-318-7007. Q. Who is CarePlus Dental Plans? A. CarePlus Dental Plans, Inc. is a non-profit Limited Service Health Organization (LSHO) licensed and regulated by the State of Wisconsin Office of the Commissioner of Insurance. CarePlus has insured thousands of members across a variety of industries, including the public sector and health care, for more than 30 years. Dental Associates is the exclusive dental provider partner of CarePlus. Q. Will an existing dental problem be covered with CarePlus? A. Yes. There are no waiting periods or pre-existing condition exclusions with CarePlus. Q. Will I have to change dentists when I join CarePlus? A. It depends on who your current dentist is. Enrollment in CarePlus requires that all dental care be provided at a Dental Associates center. If you are presently a patient of Dental Associates, you will continue to see the same dentist. To find a Dental Associates dentist near you, visit their Find a Dentist page. Q. How many dentists will I have to choose from, or will I see a different dentist every time? A. With CarePlus, you will have access to the entire Dental Associates staff of over 90 general and specialty dentists. To assure the development of a strong doctor-patient relationship, you will see the same general dentist at each visit. Q. Can all of my dental services be provided through Dental Associates? A. Yes. In addition to general dentistry, Dental Associates provides specialty treatment in Orthodontics, Periodontics, Pediatric Dentistry, Endodontics and Major Restorative services. Use the Find a Dentist feature at Dental Associates to find a specialist near you. Q. May I change dental centers or dentists after I make my initial choice? A. Yes. If for any reason you are not completely comfortable with your dentist, let us know. If you wish to transfer from one Dental Associates center to another, simply contact us. You may also have some family members treated at one Dental Associates center and others at a different one. Q. My child is currently undergoing orthodontic treatment (braces) with another provider. Can I enroll in the CarePlus plan? A. Yes, you can enroll in the CarePlus plan. Patients who transfer to Dental Associates to complete orthodontic treatment must enter into a new orthodontic contract with a Dental Associates' orthodontist. CarePlus will not duplicate orthodontic benefits paid under a previous Appvion dental plan. Therefore, if the full orthodontic maximum benefit was paid under the previous Appvion dental plan, you may consider completing treatment with the existing orthodontist. If the full orthodontic maximum benefit has not been met, you may consider transferring to a Dental Associates' orthodontist to complete treatment. Dental Associates' orthodontist will develop a fee based on the amount of treatment remaining. The CarePlus plan will pay 50% of charges up to its full orthodontic maximum benefit of $2,000, less any payments already made by the previous Appvion dental plan. You would be responsible for the remaining balance. Q. What happens if I need emergency dental care? A. If you are more than 50 miles from a Dental Associates center and you require emergency treatment, CarePlus will provide up to $150.00 in benefits. Simply submit an itemized statement to CarePlus Dental Plans for payment. All non-emergency treatment must be provided by Dental Associates. A dentist is on call 24 hours per day, 7 days per week for in-area emergencies. Call 800-318-7007 to save on Wisconsin dental insurance expenses with CarePlus.